Verses by H. Belloc. Pictures by N. Bentley. [Second Impression]. 4to., Second Impression, with illustrated title and very numerous illustrations in the text, small neat contemporary signature on front free endpaper; original pictorial boards printed in red, brown and black, cloth back lettered in black, a very good, bright, clean copy. 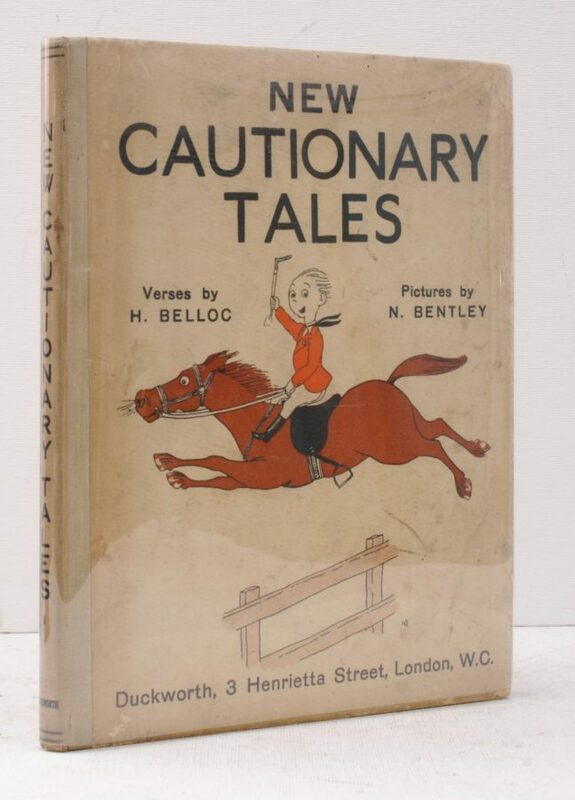 The second of Belloc's collaborations with Nicholas Bentley, whose wonderful illustrations are the prefect complement to the master's humorous verse. Published a month after the first edition. Cahill, 115B (recording the first impression).